Global private equity firm Apax Partners has marked its first liquidity activity from its Indian portfolio in more than a year, generating high returns in the process, as it took advantage of the stock market rally. The PE firm has part-exited Murugappa Group’s non-banking finance company Cholamandalam Investment & Finance Company Ltd. It has sold a little over a third of its holding in the firm for Rs 683 crore ($102 million). 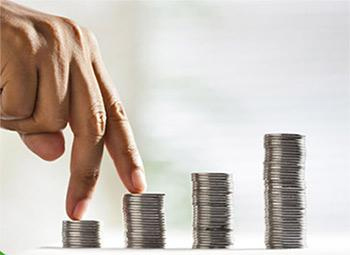 Apax earned 2.7x returns in local currency on its two-year-old bet, generating an internal rate of return (IRR) of about 63%, according to VCCircle estimates. PE firms typically aim at generating an IRR of 20-30%. The return in dollar terms is estimated to be around 2.4x. In the process, Apax has taken out what it had invested in the Chennai-based company. Apax had invested Rs 500 crore ($83 million then) in July 2014 to pick up close to an 8% stake in the Indian NBFC through a preferential allotment. In August 2014, it bought around 2% more from International Finance Corporation for Rs 121.3 crore ($20 million then). It is believed to have put in around Rs 50-60 crore more through market purchases. Apax’s remaining stake in the firm is worth Rs 1,086 crore ($162 million). Shares of Cholamandalam declined 6% to close at Rs 1,097.85 apiece on the BSE in a strong Mumbai market on Friday. Emails sent to Apax Partners seeking comment did not elicit any response. Apax had struck two exits last year from its India-related portfolio. It had sold a 28.91% stake in IT services firm IGATE for $1.15 billion as Capgemini bought the firm. Apax got 3.7x returns in gross terms including dividends. However, its other exit activity was not so great. It sold a stake in Pune-based IT consulting and product engineering solutions and services firm KPIT Technologies Ltd, just over a year after investing in it, at a loss. Other private equity investors in the company have also sold stakes in quick succession with a holding period of less than three years, typically the minimum duration for an alternative investment fund. In 2012, both Multiples Alternate Asset Management and Creador had acquired stakes for Rs 212 crore, valuing the NBFC at Rs 2,120 crore. Early this year, Creador, a private equity firm focused on South and Southeast Asia, exited investment in the company generating high returns. Multiples PE sold more than half its stake in the company for Rs 177.5 crore ($29 million) via an open market transaction in 2015. The PE firm had invested Rs 106 crore ($21 million) in the NBFC and pocketed a little over 3x in returns in the part-exit. It fully exited the company last year. Cholamandalam focuses on the rural and semi-urban sector. It has assets worth around Rs 32,000 crore under management. Its core business segments include vehicle finance, home equity loans, corporate finance, stock broking and distribution of financial products. The firm operates through more than 530 branches in 25 Indian states. The NBFC counts IFC and Norwest Venture Partners as other existing investors. In 2015-16, the company reported revenue of Rs 4,192 crore and a net profit of Rs 568 crore.